In case you missed it, here's the latest addition to the Apex Culinary Corner. This is the first of many features to come in our new LIVE demonstration series: Chef Adam Live! 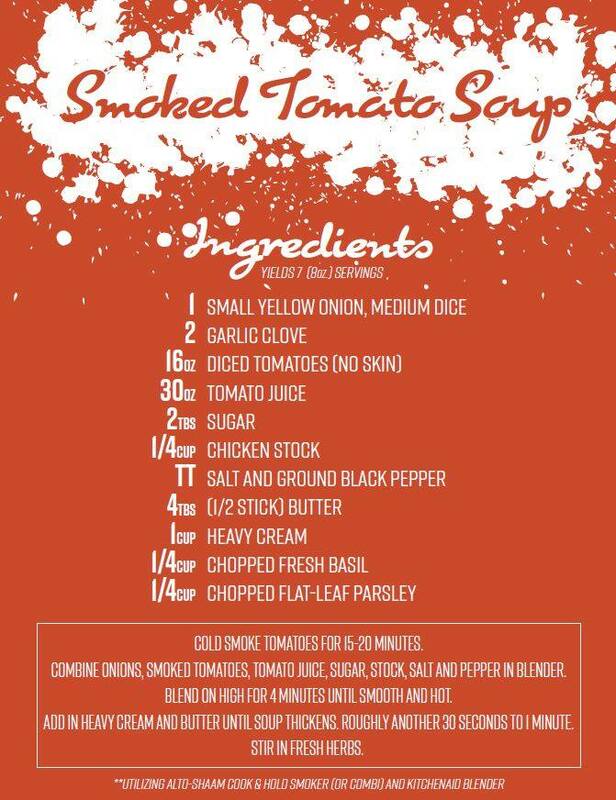 Watch how easily Chef Adam creates a smoked tomato soup using an Alto-Shaam Cook and Hold Smoker and a Pro-Line Blender from KitchenAid. Be sure to stay tuned for more! To maximize the potential of your commercial foodservice equipment, savvy foodservice operators will figure out new and inventive ways to use the equipment they already have. Diversifying your menu doesn't always mean purchasing new equipment. In fact, we would argue the first step should be working with experts to fully utlize the foodservice equipment you already have. The Apex Culinary Team is here to help you realize your potential using equipment that is both versatile and effective. We've created a new video series that highlights some of our equipment, features new ways to use that equipment, and we've asked our own Chef Adam to help. See blenders and stand mixers in action. Dont' forget to send us your suggestions for what you'd like to see on the Apex Culinary Corner.